Fantastic achievement for Kate! Huge congratulations, we are over-the-moon!! The awards show is televised tonight on Sky Arts HD at 9pm. 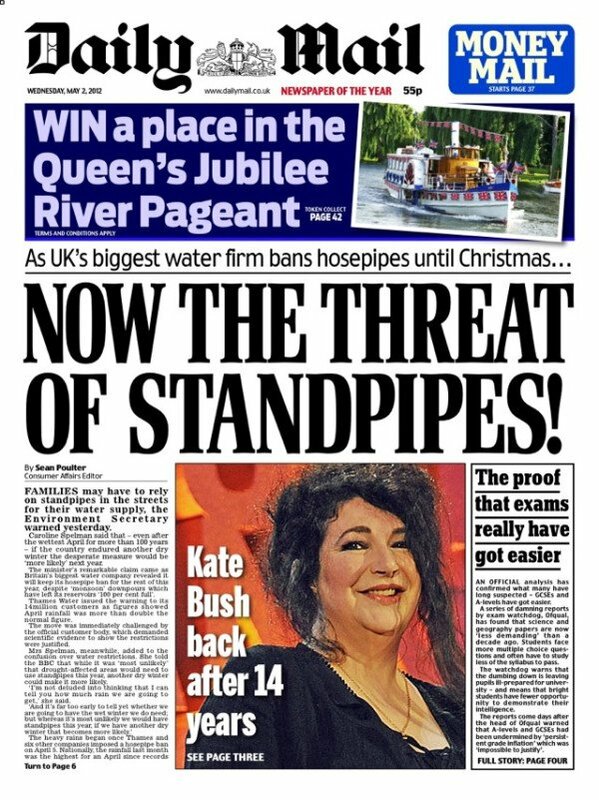 Zelo Street Blog takes the Mail to task. 57 Responses to Kate wins South Bank Sky Arts Award! lol,!!! that so cool!! congratulation Kate!!!!! ….iam so very proud of you and the music you made for all of us ,..cheers to you sweets!!! FELICITATIONS!!!! !& what a year!…another reason to celebrate and break open the wine this weekend!!! Fantastic. It is well-deserved, because it’s a beautiful album. Hooray! Highly deserved! And she looks lovely. Thank goodness for that – if Adele had won they’d have been accused of chasing the populist vote and if PJ Harvey had won they’d have been accused of rigging it. Why would they have been accused of rigging if PJ Harvey had won? Fantastic news. Kate’s music has been an inspiration for so many years. I have purchased every album from the very beginning and still listen to them on a weekly basis. I love the fact that she broke the barriers and penned songs about subjects that others avoided. Sing us a song Kate! I’m so happy for Kate! Well deserved, the album is stunning. Fabulous news, well done Kate! Though I thought Kate had more of a chance in these awards still wasn’t expecting it and am delighted! Great to see a true artist recognised at this stage of their career and of course “50 Words For Snow” is such a creative album. I’m extremely happy for Kate. It’s nice to see that in this day and age REAL music still counts for something. Congratulations Kate! Her most beautiful album to date… and Misty is her greatest song ever! What will she come up with next? Misty @ Nocturn for me! Congratulations Kate!! Looking happy and beautiful as always – so nice to have new pictures! I love her sophisticated yet natural-looking style. She looks so real and artistic. Fabulous. Such a brilliant news!! I am very happy Kate has won this award, of course she deserved it because she is very talented!!!! Just watched it on V+, Kate was very nervous, and gracious, and charming, as usual, and got a well-deserved standing ovation. Her presence on the screen was mystical and surreal but also very warm and humble. Congratulations. This award and appearance turned an ordinary day into a wonderful experience. Kate’s loved, so loved. And deserves all the praise. Besides her obvious artistic talent, how nice to see her looking like a real person, rather than a lifted, tucked, made-up mess. Proving again how wonderfully she has always separated her image/art from her personal life. My respect for her continues to grow. What a happy day! It was a thrill to me seeing her walking up to the stage and collect this awards. Really looking foward to her music in this decade- hope Bertie does well at school, her mother will be more productive and make more great music! I adore 50 Words for Snow. A brilliant, incredible album and my absolute favourite artist. It is such a joy to see a unique, true talent recognised by her peers. Kate’s music has always sounded like a gift she has been given and shared, that has changed people’s lives throughout these years, for the better. Thank you Kate for every little emotion, for each tear of joy, for your voice, your poetic lyrics and your music. Thank you for all the little things you have done for us all. You are cherished and loved. They played more of Lake Tahoe than was shown on the Brits. Congratulations Kate! I’ve been a fan since day one, I have every album and the latest is fabulous. The fact that you’ve gained a little weight and you have aged a little makes me love you even more; no one can be eighteen forever. I’m the same age as you and I have certainly gained weight in the years since Wuthering Heights came out. You’re beautiful and always will be. Great to see true talent and artistry rewarded with Adele and PJ excellent nominees also. Kate has inspired so many to seek truth and beauty in their music and this recognition of her relevance today is very heartwarming. I have been a fan since I heard “Wuthering Heights” on German radio for the first time in February 1978. Saw Kate live in Hamburg in 1979, and after all those years it’s strangely touching to see her somewhat “in public” again. And the 50 Words… room will be rerun, that’s for sure. So, come! You’d be very welcome. Wonderful news – congratulations Kate! Your music continues to inspire and is still as relevant today as it ever was. There are a large number of artists out there today who owe you a musical debt, and you deserve all the accolades coming your way….. 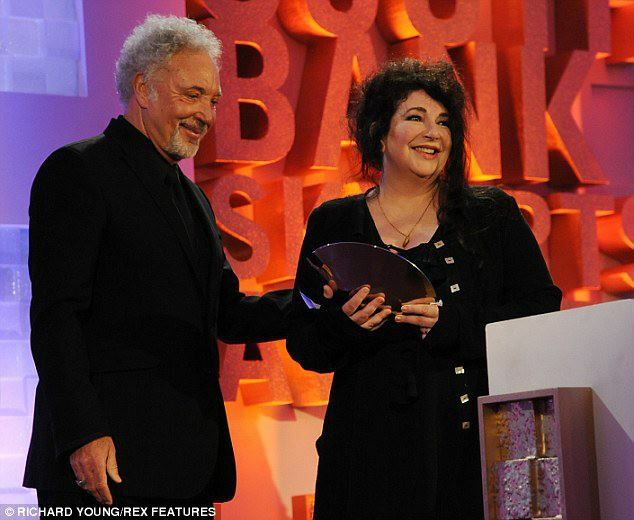 I was really happy to see Kate Bush win this award for this highly artistic and beautiful album 50 Words for Snow. Its great to see here in May 2012, six months after its release, that 50 Words for Snow achieved another milestone in Kate Bush’s career, with a major award as the best album of the year by a pop artist in England in the Sky arts ceremonies and contests. In the future, it will be great to look back on the fact that her creativity is still as strong and vibrant here in her early fifties to score such a wonderful accomplishment. Even twenty years after 1993 when she diminished off her career output, here in 2011-12 another major Kate Bush creative work enters to the world with its own singular and unusual creative essence, and gathers another great award to acknowledge the album: 50 words for Snow. I cried too. Kate you are so beautiful. Thanks you for writing such an amazing “suite'” of songs for us. Congratulations, Kate. Your music inspires and nourishes me, it has for years. I thank you for that. Your choices in your life and your firm refusal to play the corporate shill or go for the glitz and leave the substance behind, your humanness inspires me as well. I thank you for that, too! Oh Kate, you still look stunning, and that i realy mean. Great to see Kate get an award for such a fabulous piece of work, so well deserved! couldn’t go to a nicer person & still looking absolutley beautiful after all these years. Love you loads! What can I say!!!!! So many of you have said it all! It’s as if I have been reading all of my own thoughts, whilst growing up as a teenager, to adulthood!! I am now 45 and have spent endless hours listening to Kate’s albums over the years! All the albums have so much emotion and spirit. You didn’t just ‘listen’ to them, you would ‘feel’ them! This is what made them so different to everything else! Unique!! Fantastic! Or if to quote the song, WOW!!! I saw Kate perform at the Hammersmith Apollo on Friday night, I was blown away with the magic and emotion. She is a stunningly creative authentic and beautiful performer who adds depth and richness to her movingly personal story telling songs. I hope she will do another concert tour next year. Her concert was profound and I love her more than I did before. I am full of admiration and inspiration from that night. This is the best news- Kate is a legend and a Goddess.